The Passion of the Christ feels "holy" unnecessary. This wasn't for me. Regardless of my religious views, this biblical drama was style over substance. I wanted to be absorbed by the devotional writings that Gibson expertly adapted. I wanted to empathise with Jesus Christ as he slowly carries an overburdening crucifix on his blood-soaked body. But ultimately I kept thinking "why?". 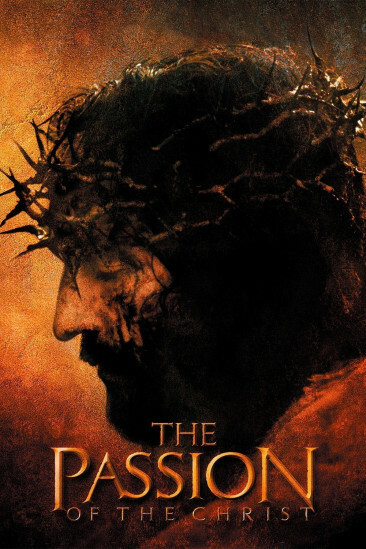 Of all the biblical stories to interpret, the Passion of Jesus lacked reasoning for its existence on the big screen. Primarily covering the final twelve hours of Jesus' life, we witness the Messiah sacrifice himself for the removal of humanity's sins. Only for him to then perform the miracle that both his followers and sceptics were waiting for, resurrection. Gibson's directing style, the production value and Caviezel's physically demanding performance cannot be undervalued. The Aramaic, Hebrew and Latin dialect enhances the authentic ancient world that Gibson portrays. I must also state that the many many scenes of brutality certainly made me flinch and did make for a difficult watch. Yet, I didn't particularly enjoy the film. The excessive violence was distracting, masquerading the lack of content that Gibson failed to provide. It is a two hour film, yet over half of it featured Romans whipping Jesus to amplify the enormity of his sacrifice. But the absence of character development (and yes, even Jesus still needs it) meant that it was all for nothing. Both sympathy and empathy were not present, making the whole ordeal feel more like an endurance test. Some may argue that this was the film's purpose, to which I counter argue by saying "why?". We as an audience get nothing out of it. If the story is hollow, to which it is, then we are unable to truly feel the emotional turmoil that Jesus experienced. Uplifting? Not in the slightest. Bellucci as Magdalene was underused, focussing more on the grievance of the Blessed Virgin Mary. The portrayal of Jews, whilst unintentional, did perceive antisemitism to a small degree. The narrative conveys the sins of humanity, but did occasionally feel like it was targeting Jews. Nevertheless, excluding my own personal views on religion, as a film I failed to understand its purpose. Jesus' final hours fails to convey the religious teachings that he abided by, instead focusing of excessive brutality. Resulting in an endurance test of biblical proportions.